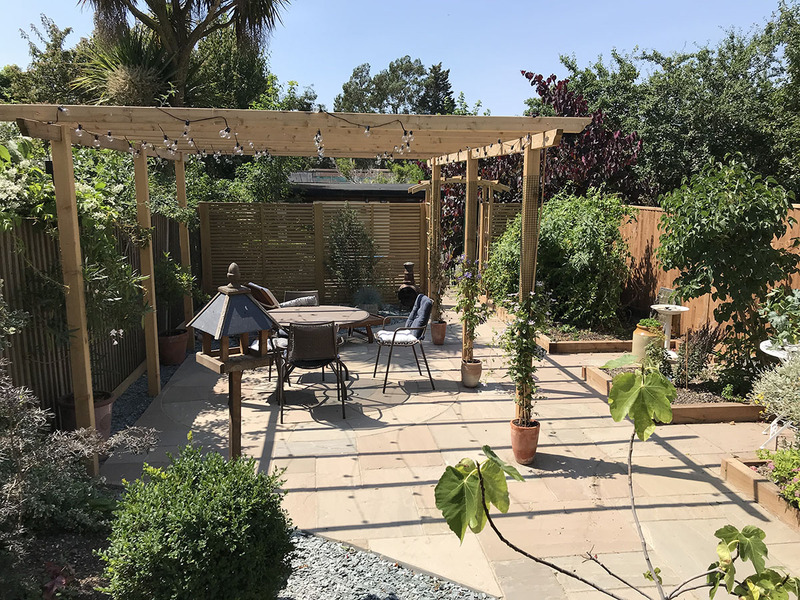 Complete garden overhaul. 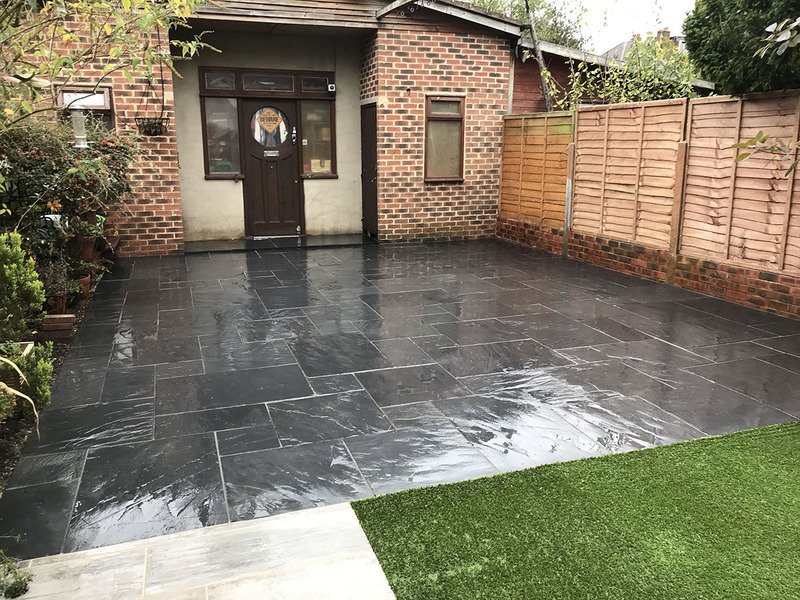 Indian sandstone path with new lawn. 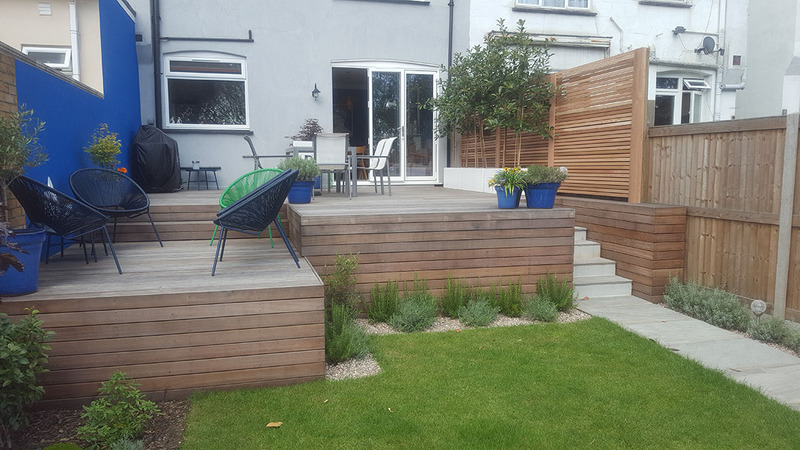 Elevated decking with cedar slatted screen fences. 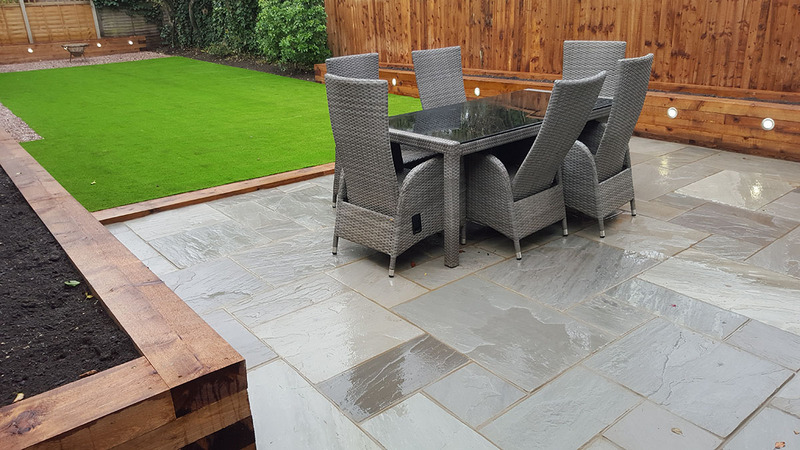 Indian sandstone patio with brick planters. Complete garden overhaul. 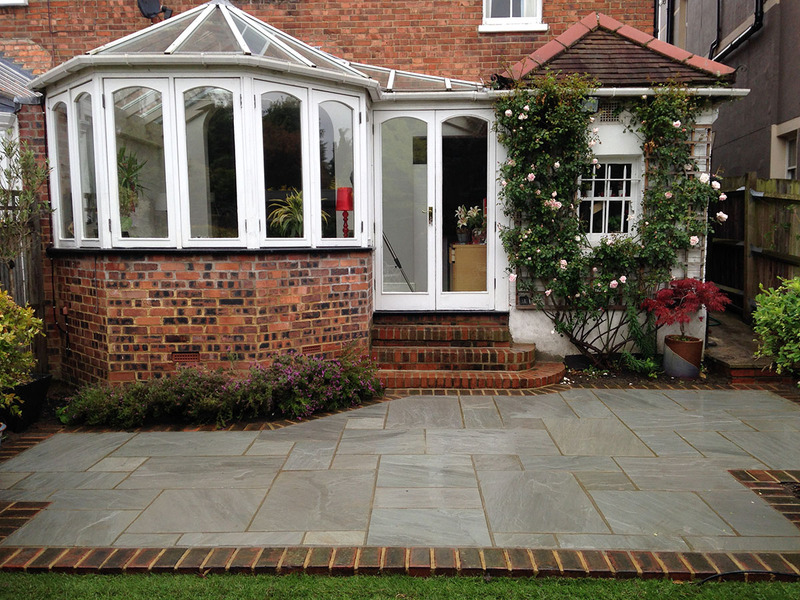 Indian sandstone path and patio with elevated hardwood decking. 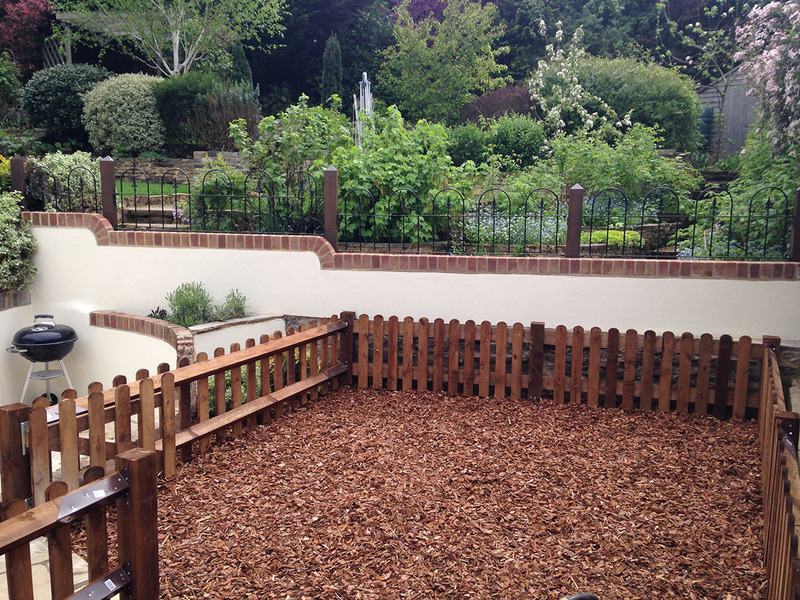 New lawn , fences , plants..
Children play area with new rendered walls and railings. 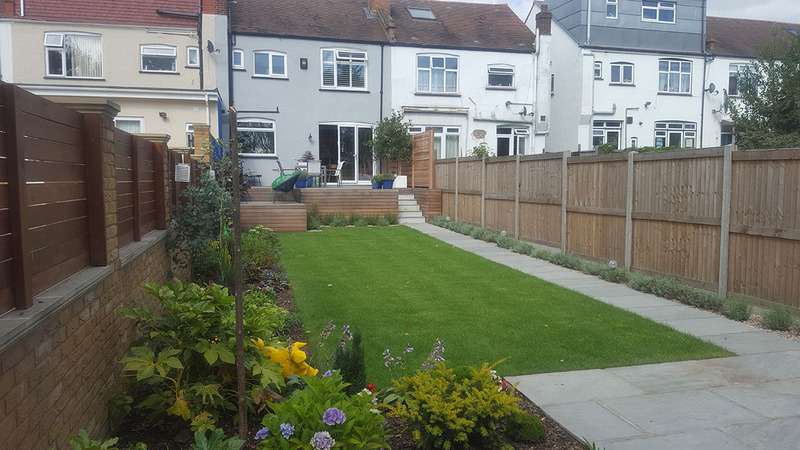 New lawn and plants. 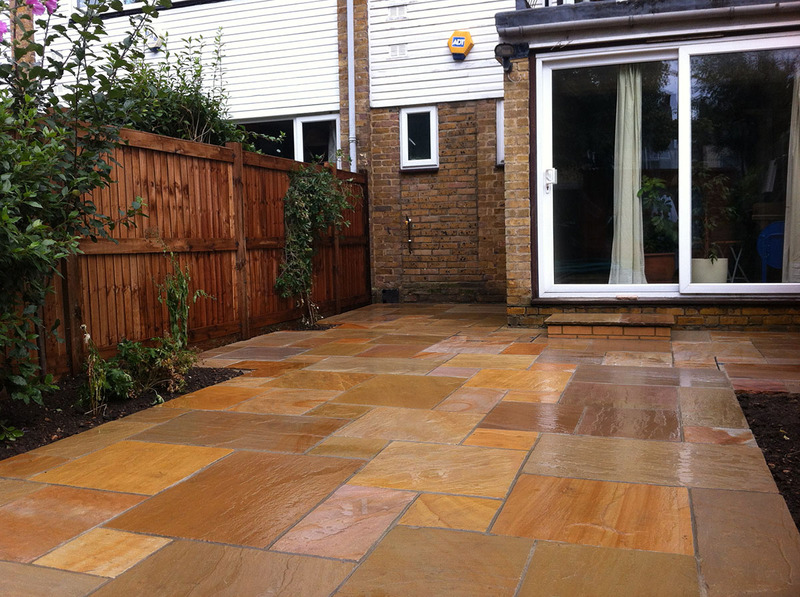 Sandstone patio with new wooden fences. 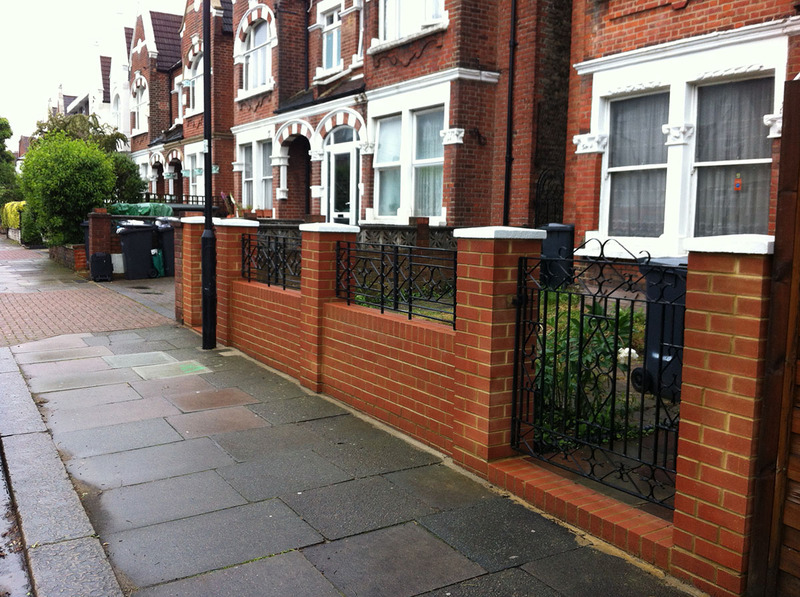 Garden brick wall with cottage gate. 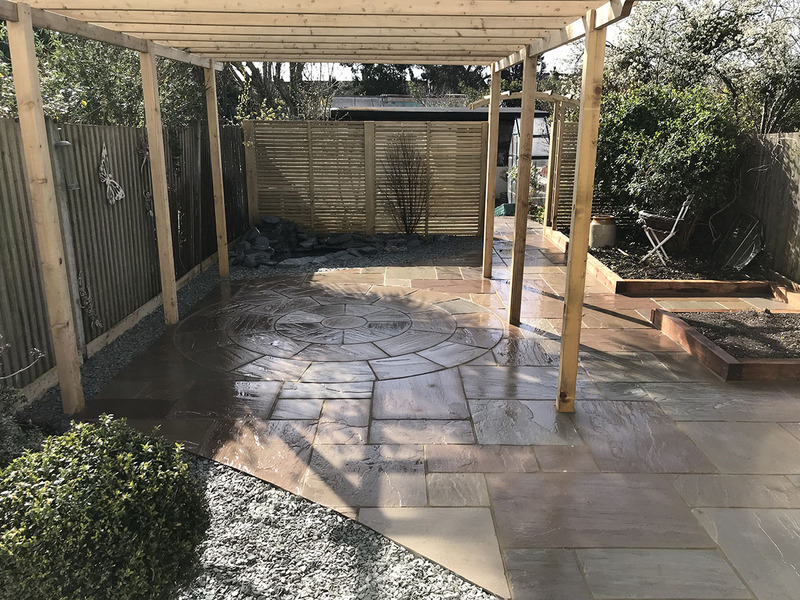 Sandstone patio with new trellis. 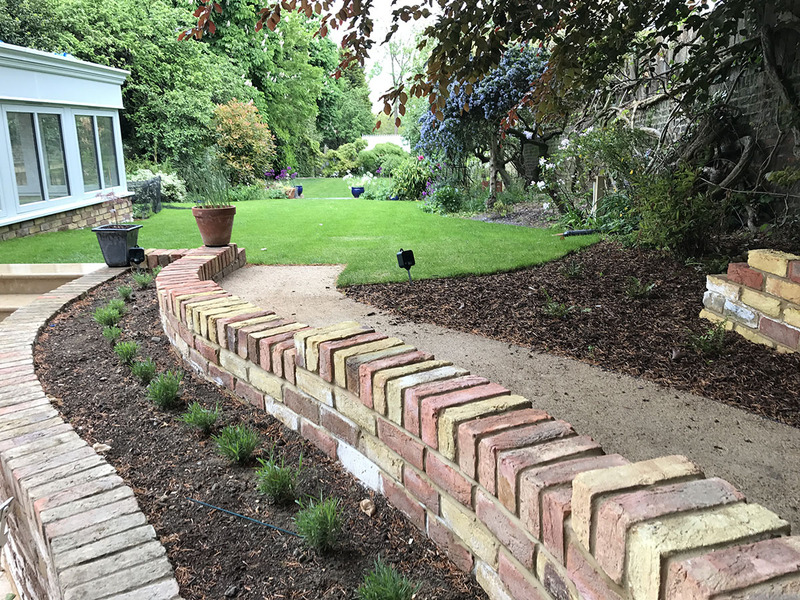 Decorative brickwork with path and new lawn. 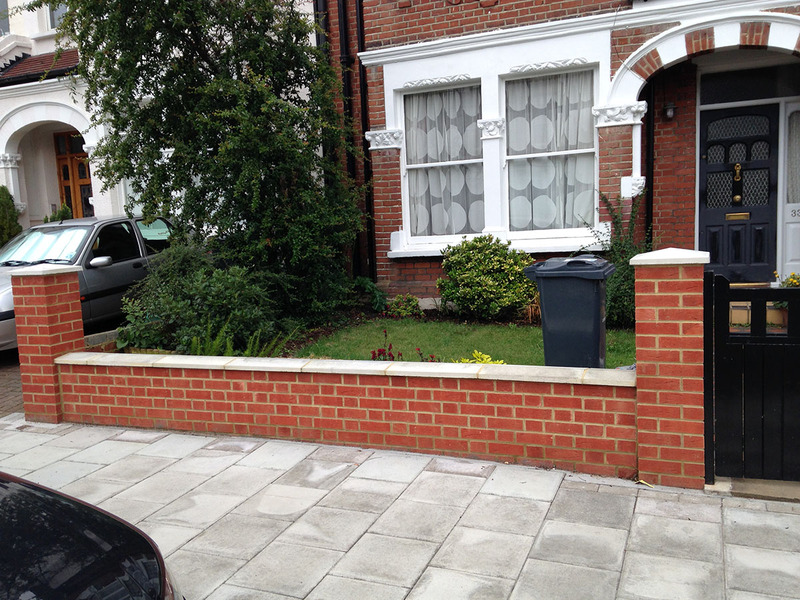 Front garden overhaul, York stone retaining wall. Complete garden overhaul. 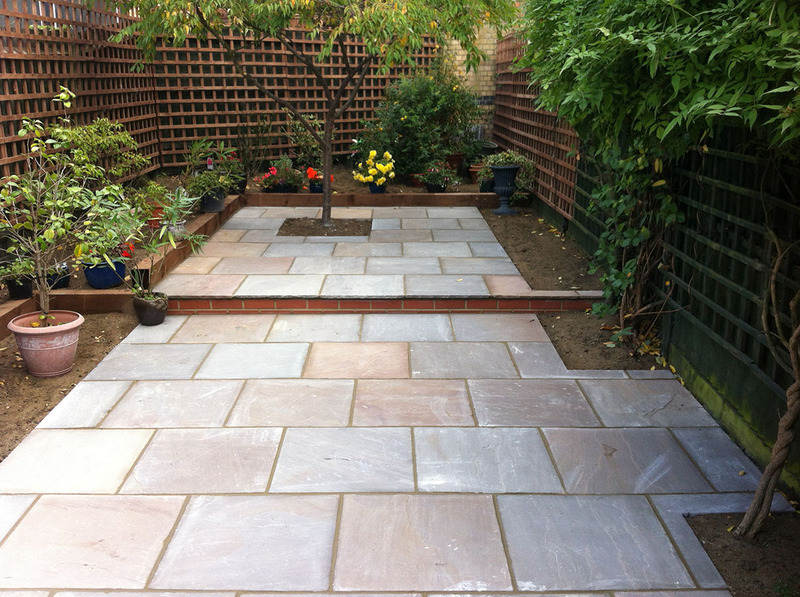 Indian sandstone patio with raised garden beds. 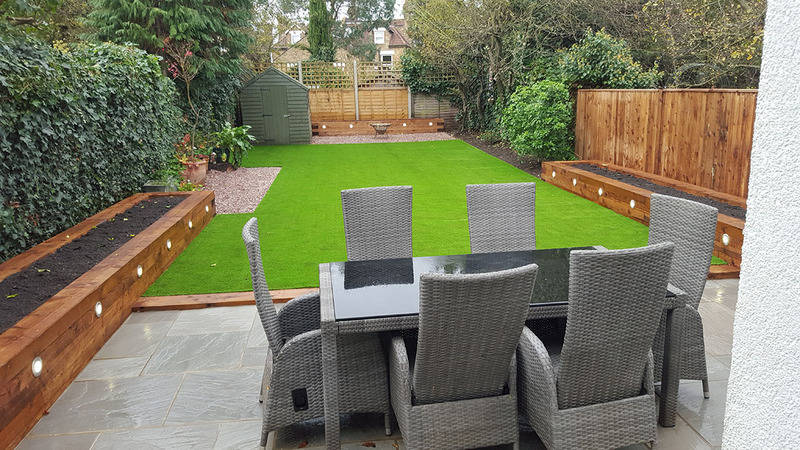 Featheredge fences with artificial lawn. 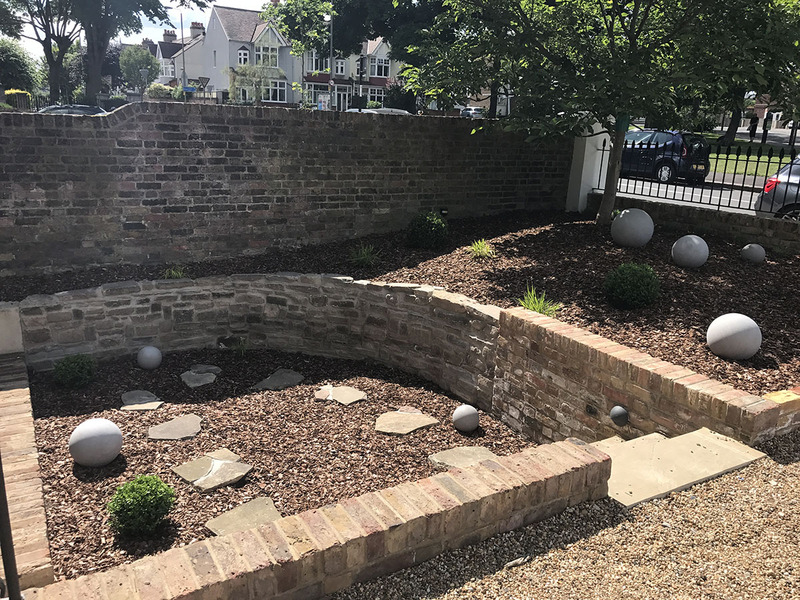 Complete garden overhaul. 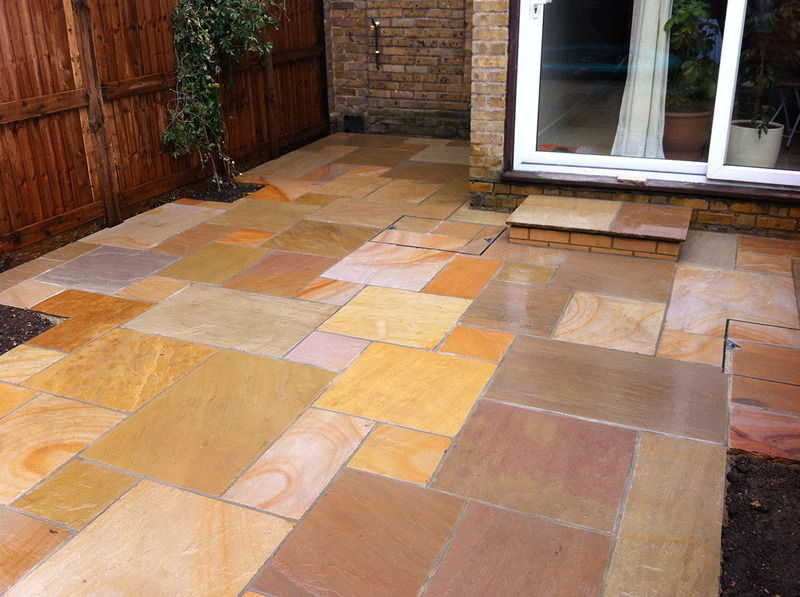 Indian sandstone patio with raised beds. 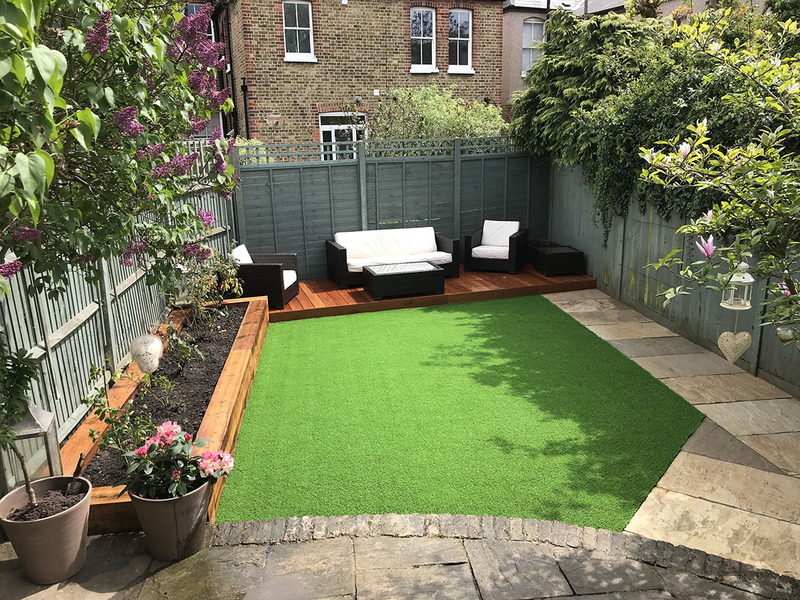 Featheredge fences with artificial lawn. 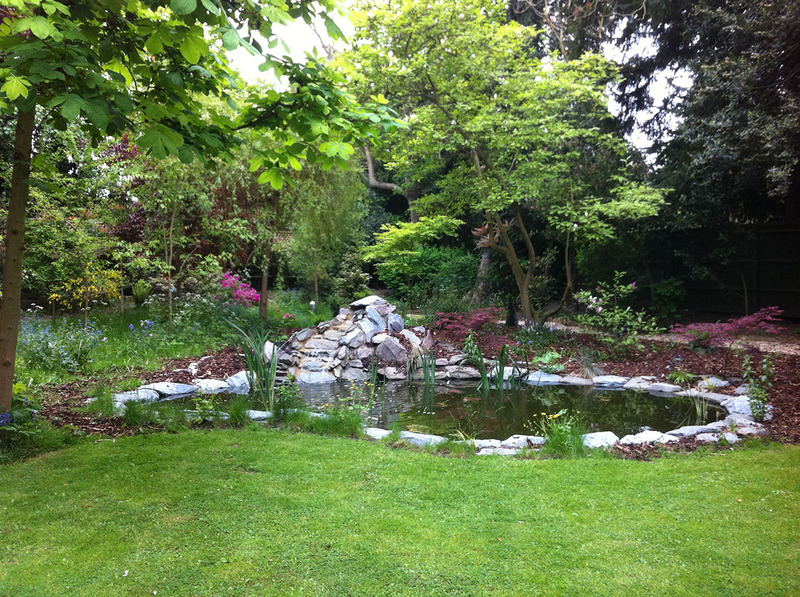 Complete garden overhaul. 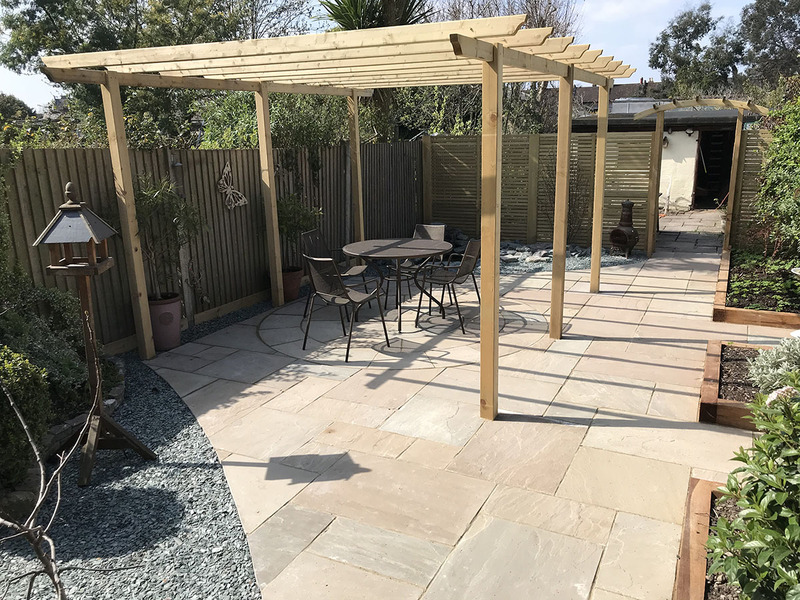 Indian sandstone patio with pergola. 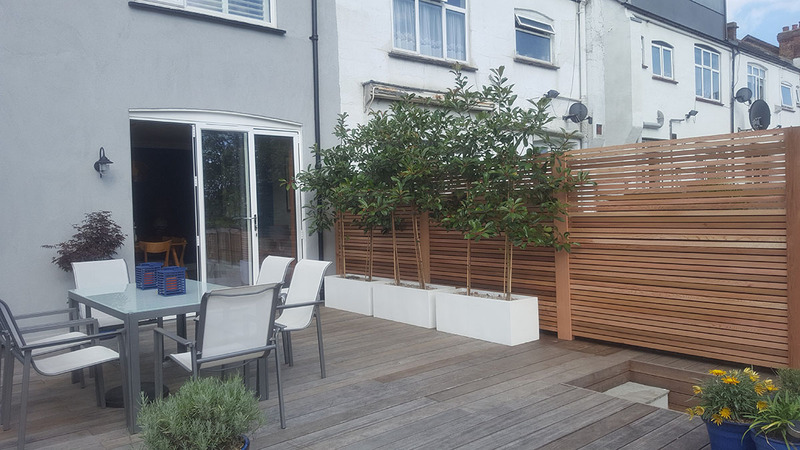 Slatted screen fences with garden pond and small garden beds. 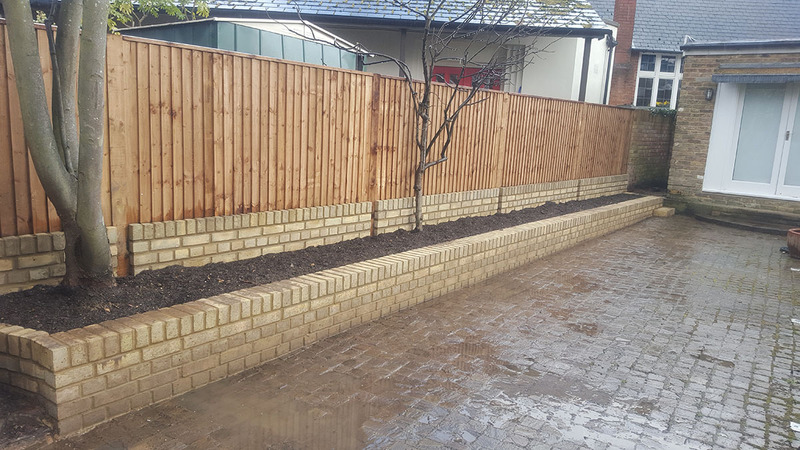 Brick garden wall with featheredge fences. Brick raised garden bed. 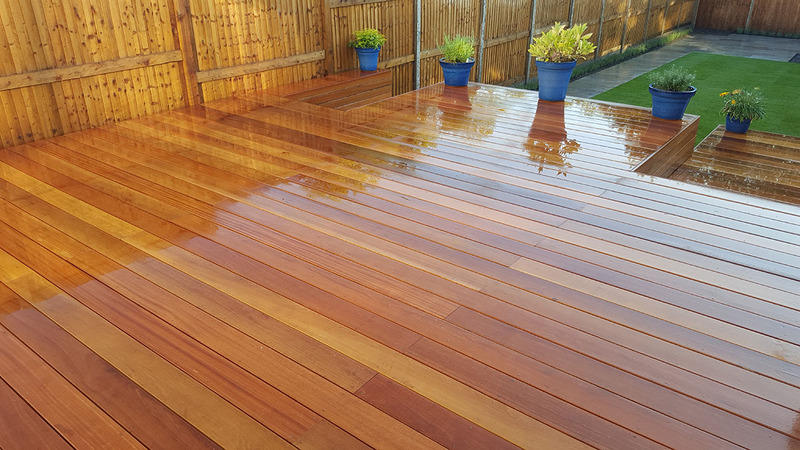 Hardwood decking with sandstone path. 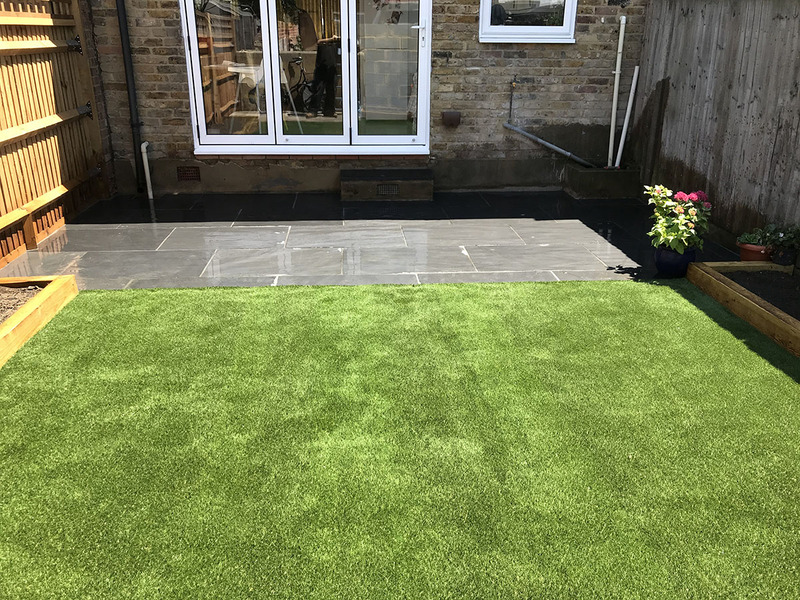 Sleeper raised garden bed with artificial lawn. Complete garden overhaul. 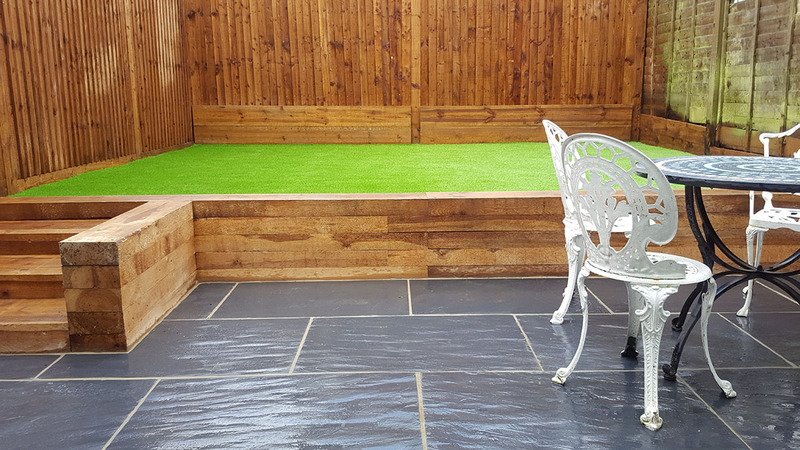 New wooden fences, artificial lawn with slate patio. 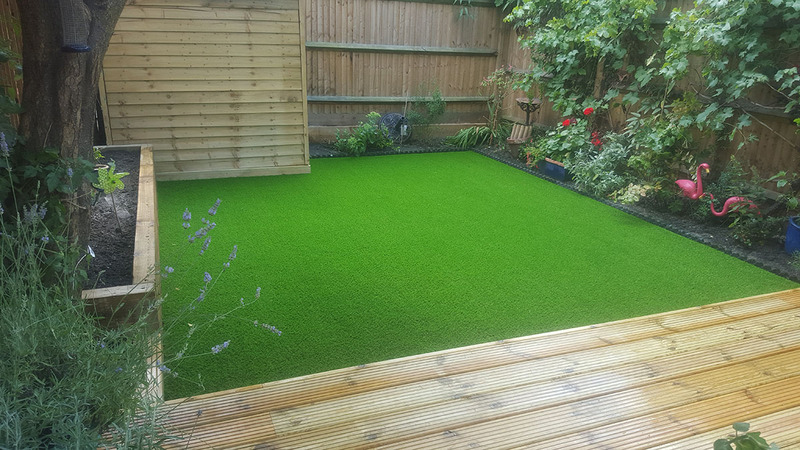 Wooden decking,Garden bed edging, artificial lawn. 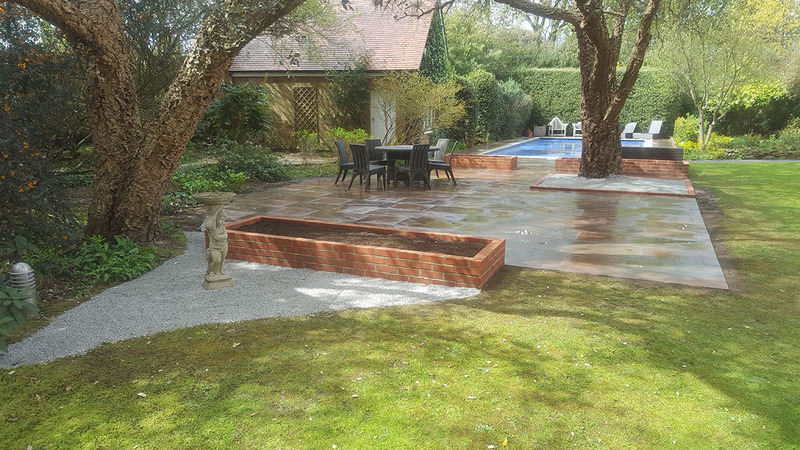 Complete garden overhaul. 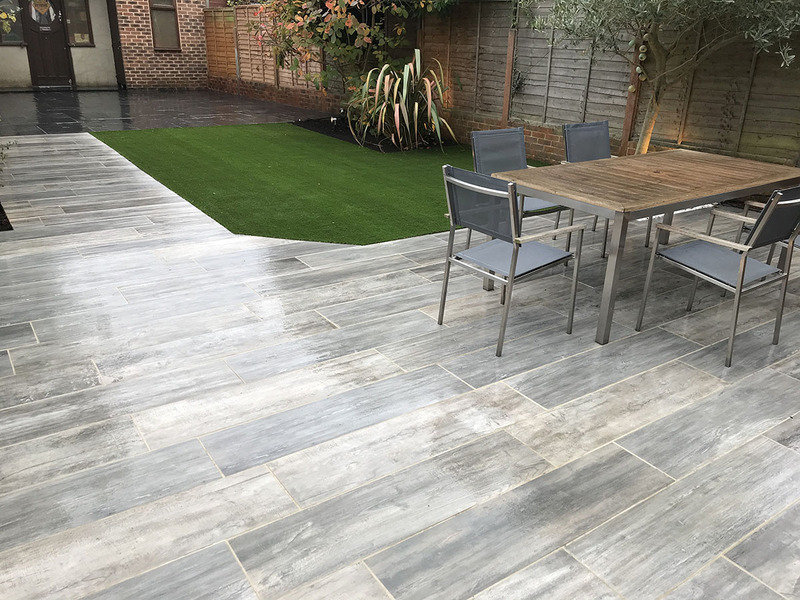 Slate and porcelain patios with artificial lawn.